Anyone who’s traveled with a dog knows that it can have its pros and cons. On one hand, having your pup by your side makes any trip more fun—and you avoid leaving your dog at the kennel or with a sitter. On the other hand, exploring with your dog can sometimes be limiting, keeping you from visiting human-only restaurants and attractions. Lucky for you and your canine companion, Cookeville, Tennessee, has an abundance of dog-friendly activities, restaurants, and hotels, so both you and your pup can have a blast discovering all the region has to offer. Here’s how to plan an adventurous trip with your dog in and around Cookeville. From its perch upon the Cumberland Plateau, Cookeville sits among some of Tennessee’s most spectacular state parks—especially if you like waterfalls. 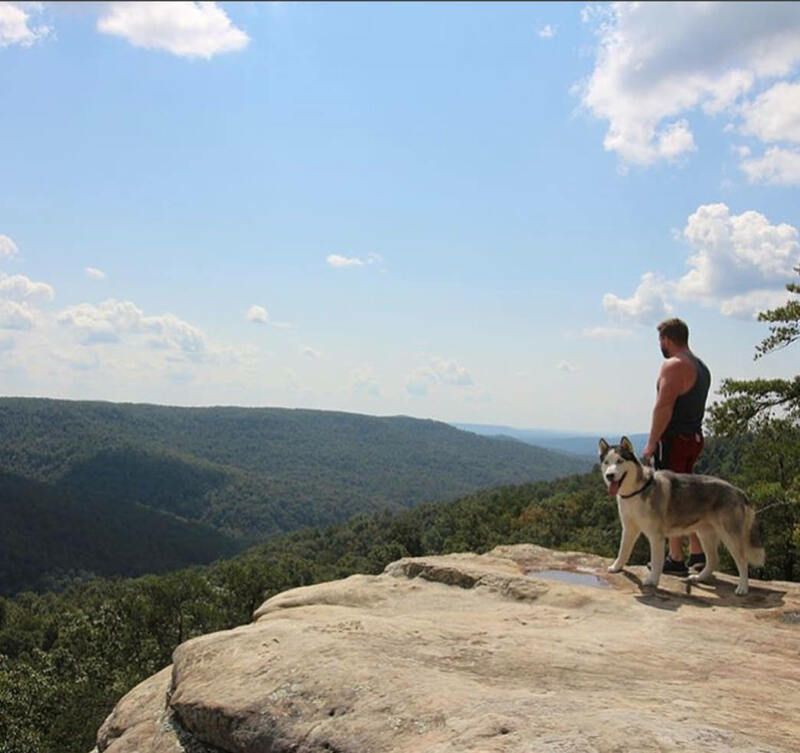 And since many of Tennessee’s state parks allow leashed pets, they’re ideal spots to go exploring with your pup. Cookeville itself boasts a great collection of city parks, some of which are perfect doggy destinations. Rock Island State Park is one of the region’s most popular state parks, largely because it offers easy hikes with a massive payoff. With spectacular waterfalls such as Great Falls and Twin Falls, the park features stunning views as you and your furry friend em"bark" down trails alongside the Caney Fork River. Cool off with a dip in the river above the dam or from the beach at the headwaters of beautiful Center Hill Lake. 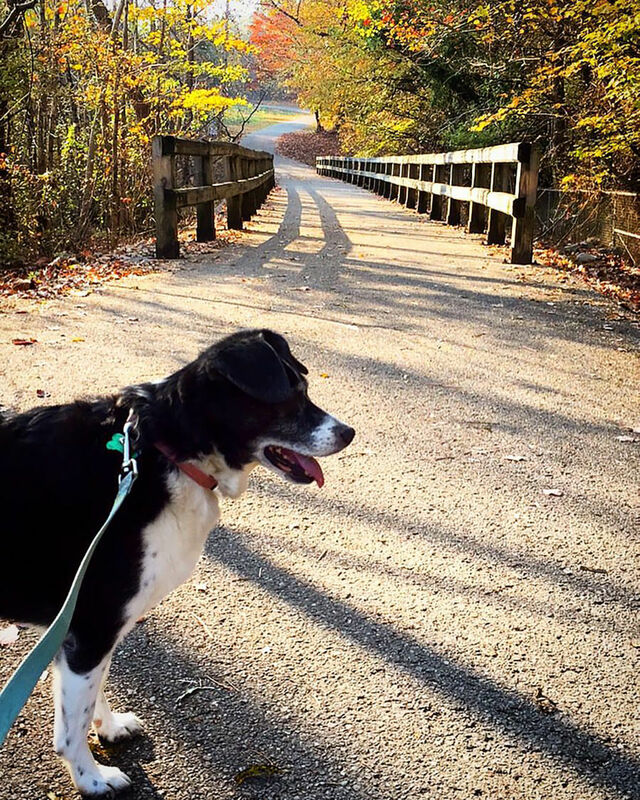 For more trails for wagging tails, Standing Stone State Park has more than eight miles of day-use hiking trails, providing access to some of the park’s loveliest areas. Trails range from easy to strenuous and pass into virgin woods through vivid wildflowers and over-flowing streams and around beautiful Standing Stone Lake. For a longer hike, visit the 6,000 acres of Edgar Evins State Park, which offers 12 miles of hiking trails for you and your dog to explore. This park is situated on the banks of Center Hill Lake and features picnic areas, a playground, and a small amphitheater. An observation deck offers views of the lake and is perfect for birdwatchers. The butterfly garden is a relaxing place to while away an afternoon. Back in Cookeville, take your dog for a stroll around the lake at Cane Creek Park on one of the easy 2-mile walking trails. The park is equipped with restrooms, picnic areas, and other amenities to ensure that your visit is enjoyable. Dogwood Park is another in-town option, serving as a little oasis in the middle of the city. This park has a walking path, an interactive fountain, and offers outdoor events such as concerts, movies, and plays. There’s even a Dogapalooza festival in the Spring. Now that you and your pup have explored some of Cookeville’s great outdoors, it’s time to get your post-adventure food fix. Fortunately, Cookeville has several great bars and restaurants where your dog can join in the fun. If craft beer is what you’re looking for, make Hix Farm Brewery your first stop. This nano-brewery specializes in high gravity beers made from local ingredients—plus, the place is totally dog-friendly. 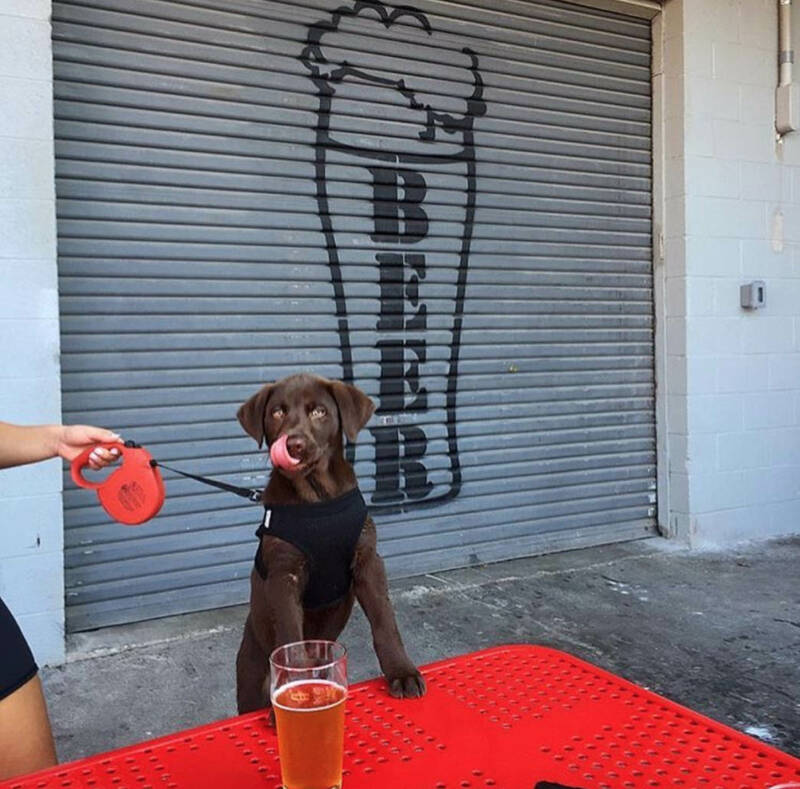 You and your pup can chill out on the patio or inside the brewery. Take a canine craft crawl up the street to another dog-friendly craft brewery. At Red Silo Brewing Co., pups and pints are always popular on the outdoor patio. For lunch and dinner, you have a few great options with outdoor seating in downtown Cookeville. Father Tom’s Pub is a little place that serves up modern pub fare and a great selection of craft beers, which you can enjoy on the quaint patio. Just down the street is Crawdaddy’s WestSide Grill, popular for the abundance of outdoor seating in the courtyard and on the balcony of the historic building. The cajun-inspired menu is huge, offering everything from gator bites and oyster appetizers to hand-cut steaks. Another local favorite is Poet’s Coffee, a charming locally owned cafe that serves coffee, espresso, and teas. The menu offers tasty coffeehouse favorites like sandwiches, bagels, and wraps, which also happen to look great alongside the Instagram-worthy latte art. The sidewalk seating is the perfect place for you and your pup to fuel up or unwind while adventuring in Cookeville. End your day of exploring in style by checking into Cookeville’s Country Inn & Suites by Radisson, where you and your dog can enjoy a great night’s sleep and a complimentary breakfast before resuming your adventures. Voted the No. 1 Breakfast in the U.S. of all Country Inn & Suites properties, you will find "Breakfast with Edna" is not your average hotel eats. Want to build up your mutt’s Marriott points? Rest easy with your four-legged companion and kick back in apartment-style suites at one of Cookeville’s newest lodging properties, TownPlace Inn & Suites. For a more unique overnight stay, Saltbox Inn & Stables offers a lodging experience for fido filled with Southern charm and scenic beauty. So if you’re searching for a weekend getaway that won’t require you to leave your pup behind, put Cookeville at the top of your list of destinations. With it’s beautiful scenery, great hiking trails, and fantastic dining options, this city is a dream come true for folks who love to travel with dogs. Written by Madison Eubanks for RootsRated Media in partnership with Visit Cookeville.